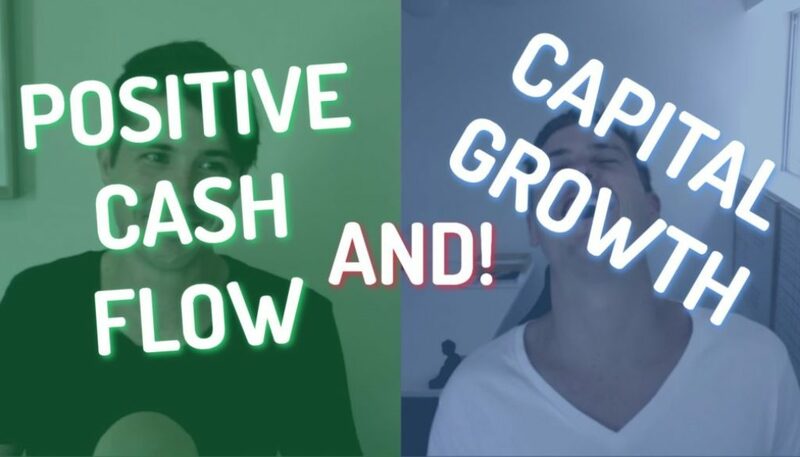 15:53 – Why wasn’t I focused on achieving long term financial freedom? Something, a lot of people don’t like. 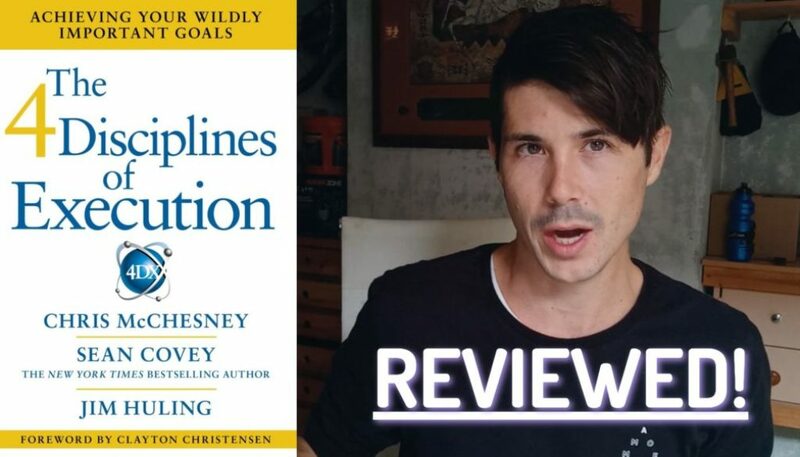 Talking about myself included is the financial mistakes that we make and how we got into the financial mess that we occasionally find ourselves in. So in today’s episode, a quick money Mondays, I’m going to do the very difficult task of explaining how I got into debt. This is something that a few of you have been asking in the comment section. 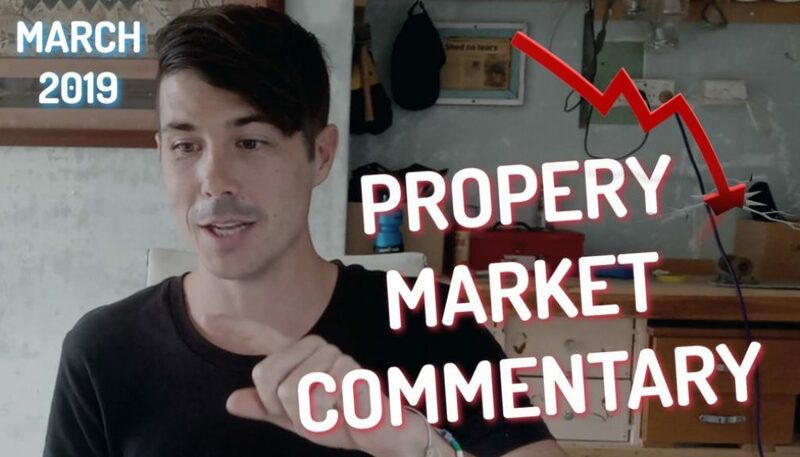 How do I run a property channel and end up finding myself in a situation where I am now currently in debt? What happened? How did I end up in this situation? Yeah. So we’re going to talk about that because this year I will be focused on getting myself out of this, getting myself in a strong financial position, strong financial position to go ahead and invest. But it all starts with the mistakes that we make in the situation that we find ourselves in. 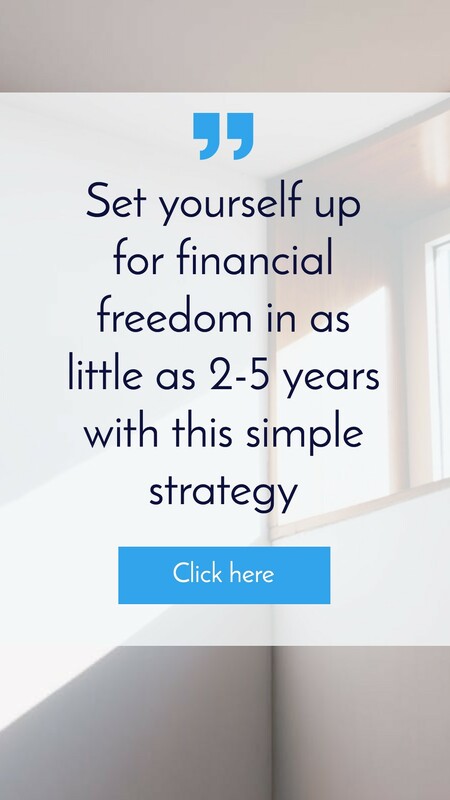 When I did the free strategy session with Ben Everingham, one of the things that we’ve talked about is where you at now, it’s really important to assess your current financial situation, which I have done. Um, and that’s something that you guys will do if you go through a free strategy session. If you’re looking to invest, you look at exactly where you now and you have to then assess the mistakes that you made in the past and the fact that you’re not where you want to be. If you want to get a free strategy session to help you move towards financial freedom, got on property dot. Come to you and you can read more about it over there or I’ll link out to the strategy session that Ben did with me, uh, down below. So without further ado, how did I get into debt? So to start us off by the age of 28, which is about three years ago now, I achieved what I call pseudo financial freedom. Now I’ve actually always called it that. I’ve never called myself financially free. I call myself sooner. We’ll have pseudo financial freedoms to by using the word pseudo, I mean, not really. So not really financial freedom, but there’s not really a better word for what I had. And that was the fact that I end businesses, online businesses in particular that generated me weekly or monthly revenue that exceeded my expenses without me needing to work on them. Now, if you go back to the video that I did at 28 around financial freedom and how I have it, you see that I didn’t make many videos around that time. In fact, I didn’t work on many of my websites. I’ve got a network of websites, not just on property, but I basically wasn’t really working around that time. So around the age of 28, I achieved my ultimate goal in life that I’d had for so long, which was to achieve financial freedom. And when I achieved, uh, it was very disconcerting, I guess is the word you would use. So that was around November, 2016 so it’s about two and a half years ago now. That’s right. Yes. Two and a half years ago now that that happened and I didn’t really know what to do with myself. I’d always had a goal that I was striving towards. I was always working really hard to wards a goal. And I was fully motivated by that and then as soon as I achieved that, I didn’t know what to do with myself. I struggled to find the motivation to work because I didn’t know what the point of working was. I earned enough money to get by. I wasn’t super rich by any stretch of the imagination, but good income, decent income, and yes, I kind of went into this strange state, whereas just really unsure what to do. 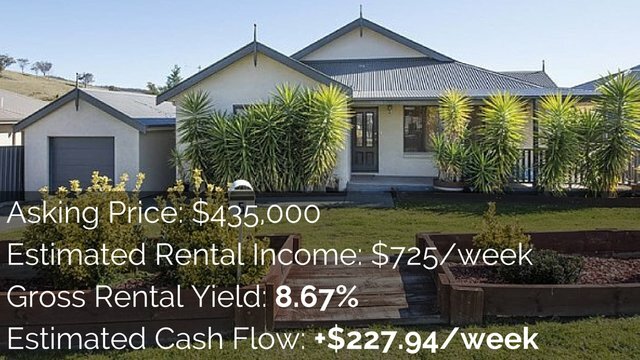 So around that time we were in a position where we could have purchased a property, so we’re on the gold coast, so we were saving money towards a deposit. We had enough money that we could have purchased a property at the time, probably nothing comes from the business as well that we could have got a loan for that, but we were unhappy in the gold coast. Me and my wife Kelly at the time, we were unhappy there. So we decided that instead of investing in property in an area that we weren’t sure we wanted to live for the next five years, we decided to do something crazy, which was to go ahead and purchase a camper van, which we did. And to then renovate that camp event so you can actually go on Instagram and go to all in the van and you can kind of look through our journey there from purchasing the van to renovating it. But basically the deposit that we had for a property, we decided to invest into a camper van, which we still own but don’t use anymore. But we decided that we were unhappy doing what we were doing and we had the pull our daughter out of school because she was having issues at school. So we were homeschooling her, which was quite difficult on us as parents because there was a lot of commitment in terms of that. So we were having a very hard time emotionally and decided to go ahead and make that commitment to try the van, tried travelling in the van and we did in March of 2017 we had completed the van and we started our van life journey. Now that journey only lasted two months. We drove from the Gold Coast down to Sydney and we went from Sydney and made it up to Noosa and for two months straight, basically in range. I think we had about maybe a week or seven days within that two month period where it didn’t rain. If you go to the Instagram all in the van, you will see how much rain there was. The freeway between Sydney and Brisbane got closed twice in that period. We nearly got stuck in some small little town on the way up the coast. Then we got trapped in Byron and couldn’t get up to the gold coast because of flooding. So basically five people living in a van when it rains consistently for two months was not ideal and idea was we’re starting in Sydney because my sister was having a baby. We’ll work our way up and then we’ll, we’ll be in Queensland and north Queensland during dry season, but two months in the van with heaps of rain, you just cabin fever central. And so we did spend money on Air B and bs that we didn’t anticipate just because living in a van in those conditions just didn’t, didn’t work for us. So the van trip didn’t work out the way that it was meant to. So we spent a lot of time in airbnbs and eventually moved up to new. So we discovered on the van trip this thing called Montessori, which we had never heard about before. We were just in Nora heads on the central coast at the caravan park there. Go talking to a mom whose child went to Montessori, where like, what’s that? She told us, we researched it, we found one in new south. We were heading up there anyway, so he stopped in, loved it and decided to stay. So that’s where we stayed for the next, about 18 months or two years was in new south. So, yeah, I think we moved there in April and we left there in December the following year, so a bit under two years in that area, in that area, in that time. And I hardly worked during that period. Again, being financially free, really still unsure of what my motivation was, couldn’t find the motivation that I needed to work to make money when I was already making enough money. So we just kind of living our life, getting by and spent 18 months or so trying to explore happiness. Now, something that I don’t talk excessively about but I had talked about before is that this was a leading up to this, like leading up to the van as well as that time period in Noosa, um, was a time of great depression for me. So I went through depression, I went through anxiety code, went through some stuff as well. And so it was a time of real struggle in my life in terms of mental health and how how’s was going. Again, I always had that goal that I worked towards and I don’t know if it was the loss of that goal that caused the mental health problems. I had dealt with mental health issues on and off for about 10 years. Uh, dealt with depression, dealt with eating disorders and stuff like that as well. But during this time period it got quite, quite bad. Um, so yeah, it’s something that I don’t like to share a lot because obviously it’s not, it’s not something that you’re proud of as a person that you went through that and that you couldn’t be happy being financially free and having an awesome family. Um, but yeah, it was a period of trying to work that out and trying to find out how do I manage the suppression, how do I get out of this depression? How do I find my happiness because I should be happy. I have a beautiful family. I have a beautiful life. We live in Noosa, financially free. Um, yeah. So went through that period, didn’t focus on work much, wasn’t really focused on finances at all, was just kind of focused on how can we find happiness, how can we ever achieve these goals and still not be happy or how can I achieve these goals and I’m still not happy. And that was something really difficult to wrestle with and I didn’t want to go back to trying to make more money and cover up the depression. Um, I wanted to find the source of it and I tried a bunch of things that didn’t work. Um, yeah, so eventually kind of found a way out of depression, which is a story for another day. Um, and started getting back into work and started getting more passionate about work in 2018. So probably around mid 2018 April, May, June, I started finding my happiness and started getting passionate about work and working more, still not a lot. Um, but definitely getting more into it and finding my motivation again. And around that time I was investing in some cryptocurrency. And so headaches, stress, money, realize we’d probably want to stay in new SAR, but we don’t want to invest for probably a few years. Just kind of save up. So crypto was kind of like a longterm play that we were looking at. I was very passionate about the technology, but obviously that was kind of peak of the crypto market or partway through the decline that I started investing in that. So again, lost thousands of dollars in crypto. I’ve done a video on that, which I’ll link up down below. We didn’t live super frugally and stay on top of our finances like we should have. I think we were just living our lives, doing our things. There was lots of mornings spent out of cafes where we would drink coffee, get breakfast, and before you know it there’s 40 or $50 gone at a cafe. Especially when you’re taking three kids and you buy food for everyone, it can get quite expensive. So we didn’t live frugally, we didn’t stay on top of our budget. We started to get on top of our budget towards the end of 2018 we’re starting to be more diligent and live more frugally. But it was around that time that then me and Kelly decided to separate. And so that kind of threw a massive spanner in the works so, and a lot of expense came with that as well. So trying to manage that to make it as easy as possible for the kids meant that we decided to get two separate places, but that would be walking distance from each other. So we moved out of our existing house into two separate places. So we’re now paying double rent. And it definitely made decisions at that time that weren’t definitely not in my financial best long term interests because at that time dealing with all of those emotions, dealing with that situation and was like, okay, how can we minimize the damage here emotionally, um, for ourselves as well as for our kids. And so definitely made some decisions there where I over committed financially. And so that separation happened around the end of September in 2018 and kind of like a perfect storm was that exact same time business started to go backwards dramatically and slow down dramatically. So I always call it pseudo financial freedom because with online businesses, trends change, things happen. My businesses and a bunch of my websites are seasonal anyway and do better in winter than they do in summer. But around September, October, November, business went back significantly. So I just committed to two houses and paying for both of those houses. So increased expenses at the same exact time, that business slowed down and revenues slowed down and we’re talking a dramatic drop over this period that was quite significant. So you kind of got this perfect storm that happened where, okay, chief financial freedom at 28 went through a depression and anxiety and difficulties there. Didn’t really work, was kind of starting to come good at the end of 2018 starting to work again and budget. But with the work that I do, there’s a big lag between when I do work and when I earn money for the work that I do have about six to 12 months. So starting to get back into things and just as things were growing, kind of had the perfect storm of investing in cryptocurrency, losing money, they’re going through a separation, spending money. They’re having not been frugal up until that point and then business dropping off at that time as well. And so all of that led to the point of, okay, now all of a sudden my expenses are greater than my income. What am I going to do? I need to get out of this situation and I need to acquire debt in order to do that. So we decided to move down to Sydney and moved down to Sydney towards the end of December, early January. But what that meant is that there was a lot of expenses that went with making that decision. So we moved to Sydney to be closer to family as well as for Kelly in order to get work more easily, which is obviously going to be beneficial financially so we can see the longterm benefits of moving to Sydney. But short term, that’s quite an expensive endeavor to move into state as well as to break the leases on multiple two properties that we had up there, those properties. Then we struggled to rent one of those properties, so we’re paying rent for one of those properties for about two months while that property was vacant as well. So basically it got to the point where now things are stable. Carol’s got a job, um, she’s got a place, I’m a dad, so I’m saving money now. Our business has since stabilized and I’m working hard to grow my income for that. But yeah, you can see kind of how I got in the debt situation. It was financial freedom, not being frugal with my money and not being super diligent with it because I was trying to pursue happiness and get it, trying to deal with my mental illness and get out of depression as well as then you’ve got the perfect storm of making the mistake of investing in cryptocurrency, overextending myself through the separation as well as business slowing down at that time. And then also the added expense on top of that, of the cost that come with separation, like buying new furniture and other car, et Cetera, as well as then the expenses of moving into state with your family and then starting the kids. I had a new school, so how did I get into debt? Yeah, that’s, that’s how, and so now in a situation where I’m actively working myself out of that debt and we’ll be doing that for the course of this year, the reason that I wasn’t more focused on achieving long term financial freedom was really just that being disillusioned with being financially free. So when I achieve that financial freedom at 28 and it didn’t make me happy, I was like, okay, I can continue to work and pursue longterm financial freedom. But I already know that financial freedom doesn’t make me happy. I already know that I’m not happy in this. So what I’m gonna do is take time out to find the happiness first, find out what makes me happy first, and then I can always come back to achieving that longterm financial freedom. So that was the way that I thought of things. I achieved financial freedom earlier than I thought through my businesses. And then, yeah, I tried to work out, um, how to find that happiness and then I could push you financial freedom again after that, which I guess is the place that I’m in now and that I’m working through now. So no, I haven’t made all the best financial decisions ever. I’ve gotten myself in a bad financial position through a myriad of bad decisions. It wasn’t just one bad decision that led to this. It was multiple bad decisions. But I’ve learned a lot from it and are now actively working to get myself out of it. So quite a personal quick money Monday today, and not super quick, but I wanted to share this with you to know that you know things aren’t perfect, I’m not perfect, but sometimes things happen in life and you’ve got to weather that storm and get yourself out of that. So that’s how I got into debt. Thanks so much for tuning in and watching. I hope that you get something out of this, or at least we can look back on this in years to come and see how far I have come from. 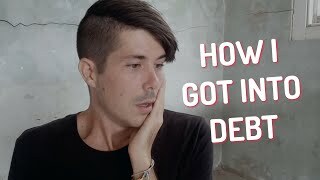 Go ahead and check out the video that I did on how I’m planning on getting out of debt. If you’re interested in that quick money Monday, I’ll link that up down below if you want to check that out. Otherwise, until next time, stay positive. 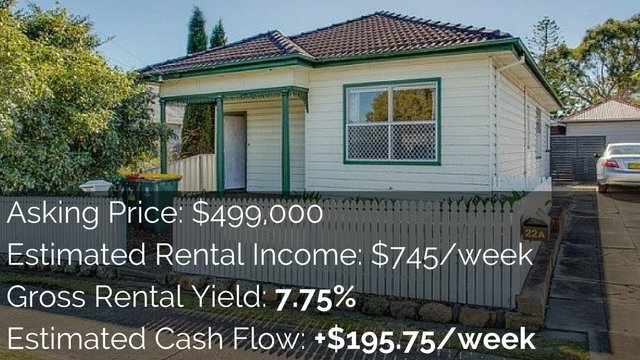 How To Buy Your Second Property	Is Now The Right Time To Invest in Sydney?